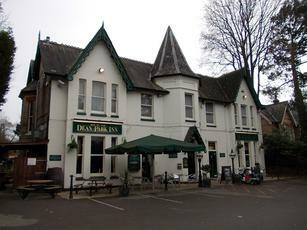 This Wadworth pub/hotel was our first port of call on a recent trip to Bournemouth. It opens fairly early, which is why we headed here first. The owners are friendly. Ales are 6X, IPA & Swordfish. £6 for a pint of sanmiguel and a small soda and lime!!!!!! Visited here over the bank holiday, WOW! A great bar and fab beer, well kept 6X and terrific Wadworths Swordfish. The chefs special warm beef salad was also excellent. All the staff are very efficient and friendly and quite knowledgeable about their beers and the area. Apparently due to have a major refit imminently. Also the assistant manager is a keen surfer and kite surfer, so great to find out where is best to go for the days beach activities. 4 Wadworth beers which were fine. Food also decent. Probably could do with a couple of extra staff as no one came over at the end of the main course. Would go again though. think they have a new chef as 3 of us had a lovely meal in here yesterday, last year we came here and had what i would describe as bog standard pub grup. So many pubs produce plastic food but we were all really happy, you could tell it was all cooked by a person rather than from the freezer to the microwave!! They have wadsworth ales which are ok but shame they cant stock ringwood etc as there are better real beers out there in dorset.